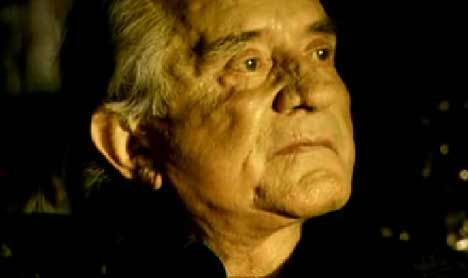 Johnny Cash's cover of Nine Inch Nails, 'Hurt' was released on his 2002 album, American IV: The Man Comes Around. The cover was released on a single with the B-side 'Personal Jesus', a cover of the Depeche Mode single. The music video was directed by former NIN-collaborator Mark Romanek who sought to capture the essence of Cash, both in his youth and in his older years. In a montage of shots of Cash's early years, twisted imagery of fruit and flowers in various states of decay, seem to capture both his past and the stark reality of the present. 71 years of age at the time of filming (in February 2003), Cash had serious health problems and his frailty is starkly evident in the video. He died seven months later (September 12); his wife, June Carter Cash, who participated in the video, died three months after filming (May 15), closely preceding him in death. 'Hurt' is considered by many to be Cash's epitaph. Hurt made it into the UK top 40, reaching No 39, in the US it reached No 33 in the Alternative chart and No 56 in the Country Chart. Trent Razor announced at one point that this song was not his anymore. "It was obviously Mr. Cash`s song from the start, I merely wrote it." Your totally right, it's a very moving song. This is one of his most honest songs. It comes from his soul. Loved it since I heard it, great track. Grrrr. The "threading" downgrade won't let me respond to the parent post. Anyway, I've never heard the original, but I love this one.